Last summer Victoria and Daniel celebrated a very special day. The couple had chosen a very special location for their big day – Florence. They had a civil wedding in the beautiful Tuscan city of Florence, where the couple tied the knot in an beautiful and antique Palace. The couple had chosen a very special location for their big day – Florence. With its enchanting cityscape, beautiful old town and impressive buildings the capital of Tuscany is the ideal place for a city wedding in Italy. 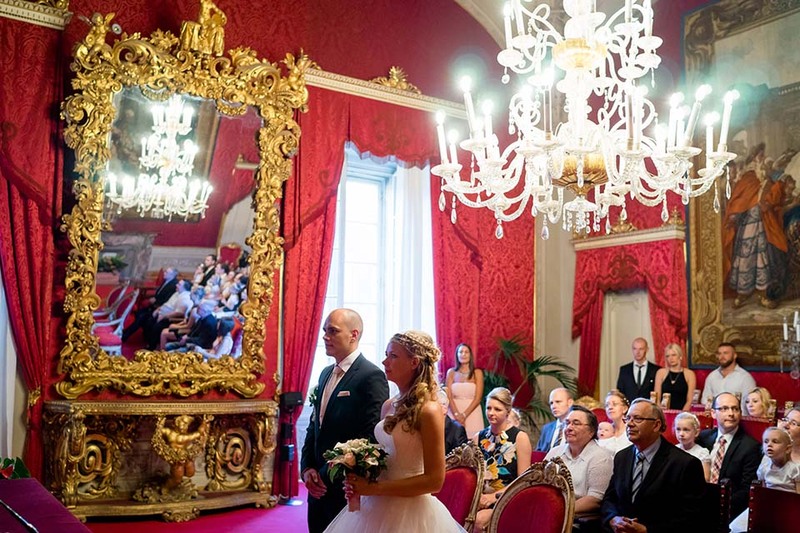 The wedding in Florence led our newlyweds to two beautiful locations within the city: The civil wedding was held in the Palazzo Vecchio, the town hall. Victoria and Daniel had chosen this impressive palace with its striking facade and its elegant interior for their civil wedding in Italy. 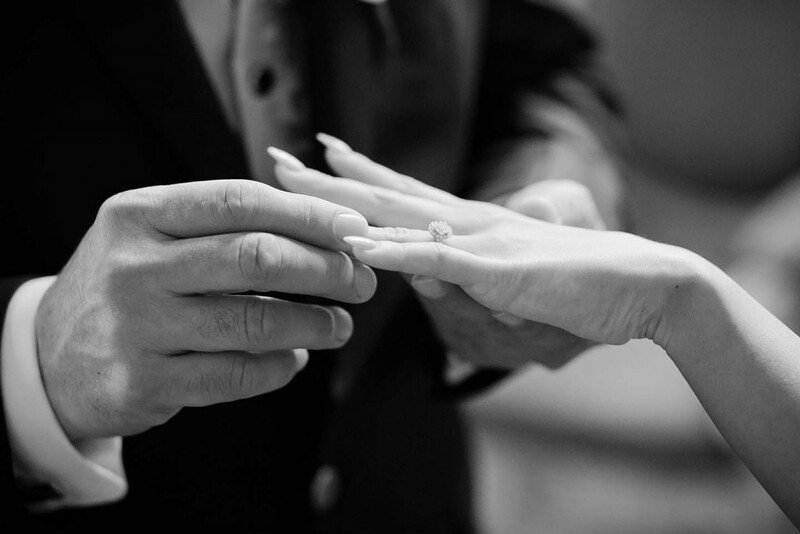 Together, with around 30 guests in attendance, they made their marriage vows in the beautifully decorated Sala Rossa. (Sala Rossa Wedding Hall of Florence) Before setting off to the wedding feast after the wedding ceremony, the bride and groom enjoyed another highlight: a romantic carriage ride, which gave them the opportunity to explore the most beautiful places in the city – a perfect start to their future together! 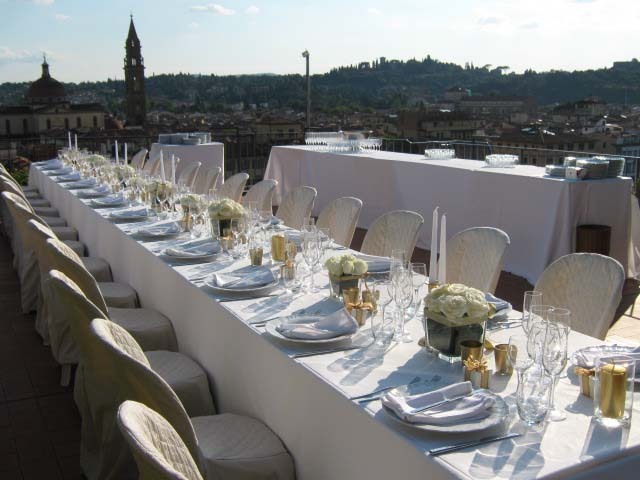 Then it was time to reach the second location – a roof terrace overlooking the Arno. On this terrace, which is undoubtedly one of the most beautiful places in the city, Victoria and Daniel celebrated their wedding together with their wedding guests. A typical Italian aperitivo, a charming wedding cake and a delicious dinner of Italian speciality dishes were of course included. In this classically elegant atmosphere the couple was able to round off a perfect special day here. A very special highlight was the stunning views from the roof terrace. 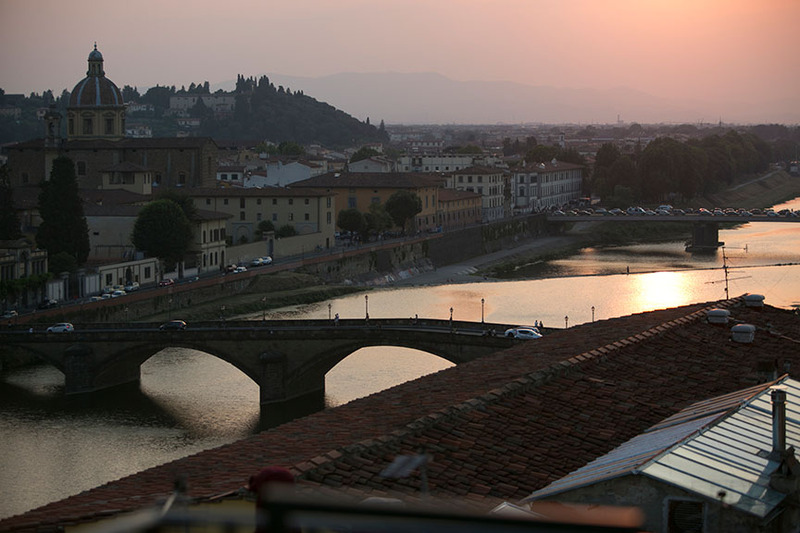 The view of Florence and the Arno with a glorious sunset provided for a very special and romantic atmosphere. 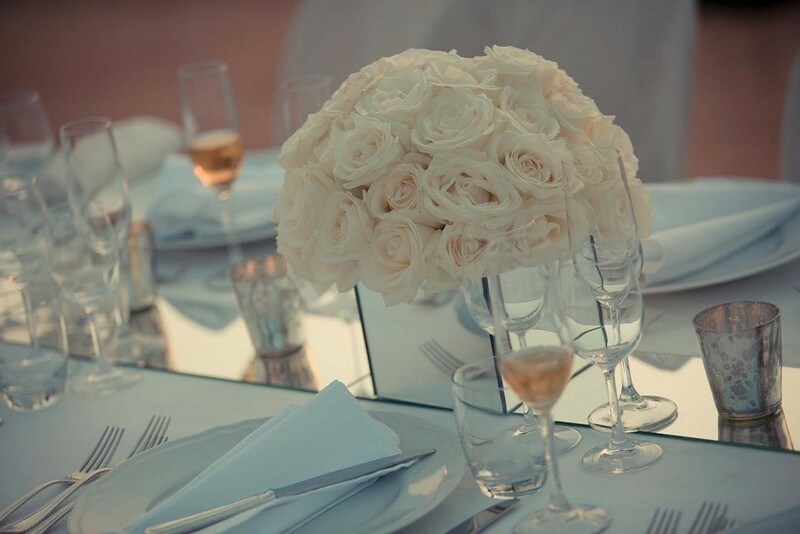 From antique and sophisticated to typical Italian and bustling, hosting a wedding in a vibrant city in Italy can provide a wonderful backdrop for a destination wedding in Italy.